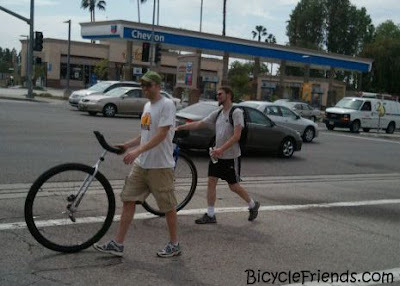 I went on a walk with the family to our local thrift store and then to Coates Bicycle Shop on Foothill. 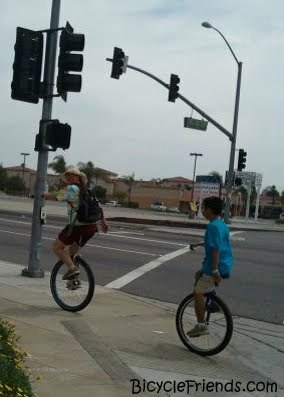 On the way home, I spotted a motley band of Unicyclist! 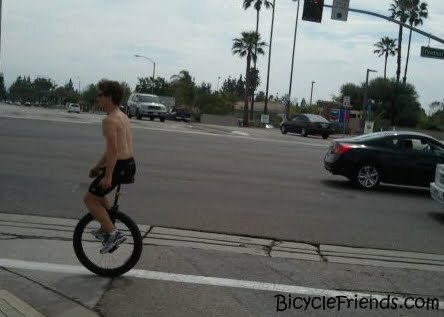 They grew quite a bit of stares from car and pedestrians.